This beautiful chandelier will become the centrepiece of attraction in any room of your home. This chandelier features six light holders which can be fitted with 60 watt bulbs and scrolling resin frame that evokes the style of gothic castles, but with a bit of modern glam. With easy expert installation, this will make your space look elegant and perfect. Hang this chandelier on any ceiling and it will enhance the beauty of your home in an interesting way. Place this chandelier in your entryway or over the dining table for the most effect. The chandelier features a scrolling frame that evokes the style of gothic castles with a bit of modern glam. 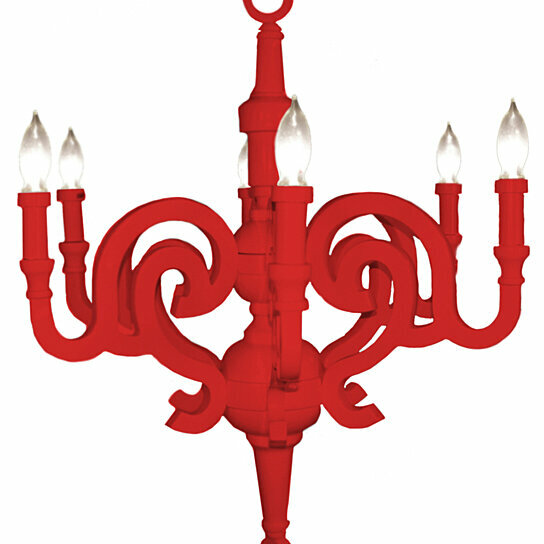 The frame of the chandelier is made from durable resin for a lasting durability.